The new puzzle game which will give you endless sleepless nights!! 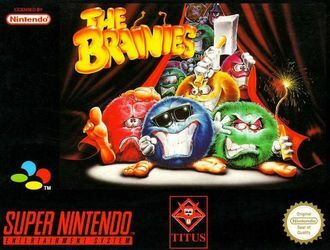 !The Brainies are round fluffy monsters that live only to create chaos and universal disorder.Your sole weapon is your brain: you can only neutralize them if you succeed in placing them on their sleeping pads. They will drive you crazy from your very first attempt: their antics will definitely give you something to think about. Start you brain, beat the pain. The Brainies are waiting for you.